Are You Finding the RIGHT Leads? 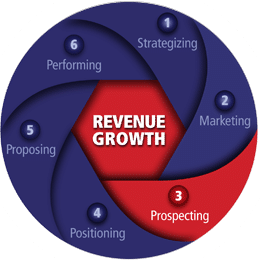 Prospecting identifies and generates leads, then tracks, assesses, and qualifies leads as they move through the Business Development Funnel. Successful Prospecting means you understand your Client’s challenges, match your capabilities and skills, and apply this understanding to establish Stage Gates for making Go/No-Go decisions before you Position your company or write Proposals. ClientView can support your Prospecting activities with our professional experience as Government executives, Presidents/CEOs of Government contractors, demonstrated capability in winning new Government contracts, and demonstrated performance helping companies Grow Revenue.